Have an online presence for your business? No matter in what kind of business you are, it’s essential to have a proper website. It’s the basic requirement that you need to have in order to perform well in business. But even after you have it, you find that it’s not helping you that much. You are not getting enough leads that you had expected to receive from the website. This surely is quite heartbreaking. So, it’s important that you figure out exactly where you are going wrong. You need to know why you aren’t the revenues coming even when you have a website that looks stunning. Are you sure that you aren’t committing any of the common mistakes that can mar the business prospects of your website? It has been observed that the readability issue is a major one when it comes to web design. Here’s a quick look at some of the secrets you need to know to use web design to enhance readability of your website, which will, in turn, enhance conversion and revenues. Are you using moving sliders on your website? Are they helping in any way to convert the leads that you get from your website? It has been noticed that these sliders do not help the process of lead conversion in any way. There is a major issues that the moving sliders cause. It cloaks some of the major news and offers that could be important for the users. So, one of the best ways to get your ideas home is to not use these moving sliders on your website – not on the homepage or any other page of the site. You need to be prudent while selecting the size of the font you are using on your website. That’s because, readability has a major role to play when it comes to converting leads. It has been found that when a person lands on a website, the average attention span is 8 seconds. So, you have only this much time to reach out to the person. And if the fonts are undersized, then you won’t be able to communicate with the visitor on your website. The result: he will leave your website, thus increasing the bounce rate. Besides, people are also known to read only 28% content on your web page. What are the colors of the fonts that you are using on the website? Is the background as well as the font both of them too light or too deep? This is going to hinder the readability of your website significantly. Ensure that you use fonts that are in perfect contrast with the background of the web page to enhance readability of your web typography. Studies show that our vision capabilities decrease as we age. So, it is important to create a web page, which has the fonts in sharp contrast with the background color. This helps to enhance the readability quotient that ultimately results in the visitors staying a longer time on the pages of your website. And the more they stay there, the more they are likely to get converted into your customers. Any idea what the line height of the fonts of your website is? 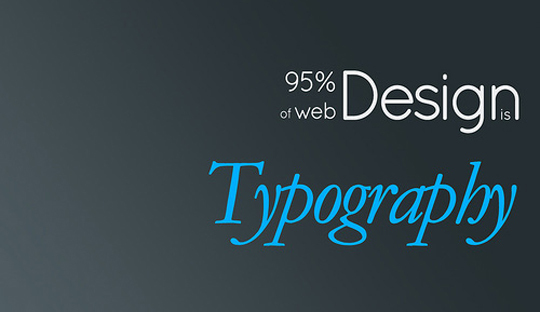 It has been noticed that most of the web designers select a line height for fonts quite arbitrarily. However, that’s not the way to do it. Don’t you think this might have a negative impact on your website? Well, the fact is, the line height of the fonts can affect the whole design of the site. A wrong line height makes all the fonts look too congested. Hence, the appeal of the website is disturbed. The perfect line height for a web page usually follows the golden ratio, which makes the website appear aesthetically beautiful. What’s the width of your web page? That’s something, which you need to decide prudently. This is because, on it will depend the length of a line. So, what’s the optimum length for a line in a web page? How many characters should be there? According to an article on Baymard Institute, the readability of a line on a web page is the best when it has 50 to 60 characters. However, even about 75 characters in a line can be accepted. It is important to keep the line length short because the readers prefer to skip reading the content on your website when the line length is too long. Are you using any accent color on your webpage? That’s what you need while adding a call to action on your website. This will be in line with the idea of creating contrasting fonts and background. However, here the background will be the button, on which the call to action needs to be etched. The color of the font needs to be bright enough to attract the attention of the viewers. This is likely to help you convert the visitors into customers. Readability is an important component of a website when it comes to conversion. Any web page with low readability can never expect to turn visitors into customers. So, it is important to create proper visibility with web design to ensure more revenues for the website.